Intrigue® Gas Fireplaces by Ambiance represent the result of extensive research in making the ultimate gas fireplaces there are! Making sure the efficiency is amongst the highest ensure you will be getting the best use of Natural Gas or Propane for your money. Making sure the flame pattern is harmonious and comforting, offering various decorative fronts options and working at servicing every Market with the best fireplace store there are. That has been our focus! 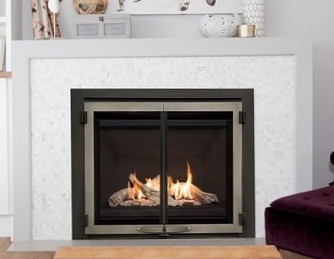 Innovative burner technology provides an extremely realistic ember bed and flame pattern. 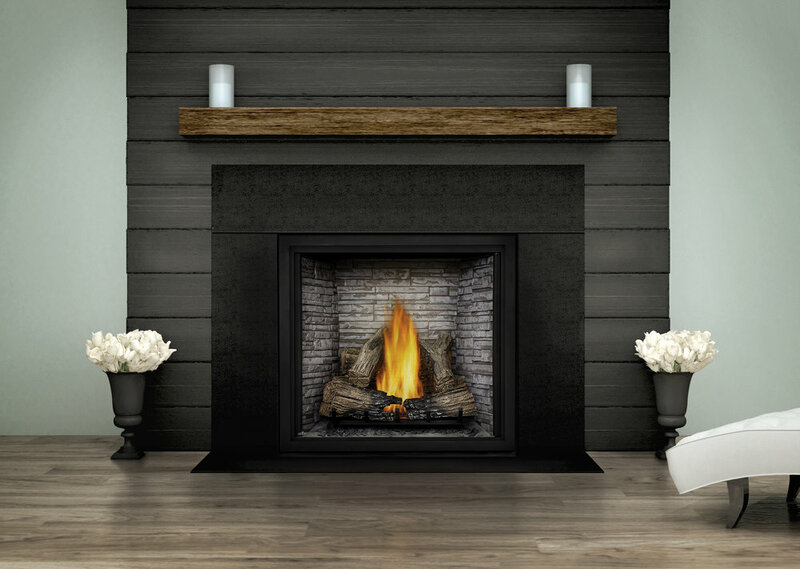 Hand carved and hand painted logs create a natural and balanced appearance in the firebox. Latest fire management technology includes your choice of the “standing pilot” or the “intermittent pilot system”. Multi-function remote control will turn the fireplace on/off, regulate heat output and fan speed, adjust the accent lights or maintain room temperature with the thermostat. Accent lights add a unique glow to the interior of the fireplace. Certified and safety tested by top agencies in North America, including CSA and ANSI.